Independent Benefit Advisors is your source for group vision plans in NC. With years of experience and extensive knowledge, our team of insurance experts will find the vision insurance NC that works for your small, medium, or large business. When you contact IBA for a quote, one of our insurance agents will get to know the specifics of your business, the level of coverage your employees need, and then help you to select from the available NC vision benefit plans for groups. The Independent Benefit Advisors are always here to assist with individual and group vision insurance NC. Whatever size business you operate, the Independent Benefit Advisors can help with your group vision plans in NC. If your business has fewer than 50 employees, The Independent Benefit Advisors can assist with group vision plans in NC for small groups. An insurance agent with IBA will get to know the needs of your employees and consider factors including premium costs, co-pay, and network availability. NC vision benefit plans for groups are available for business with 50-249 employees. The Independent Benefit Advisors will get to know the needs of your medium group and provide options to help you make the best choice for those you employ without affecting your bottom line. IBA can help with group vision plans in NC for companies with more than 250 employees. More flexibility is often required for large group employers to allow each employee get the benefits they need. 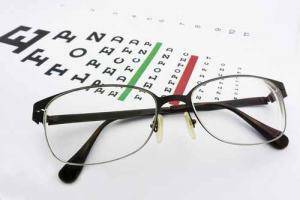 The Independent Benefit Advisors can help find group vision plans in NC that provide just that.